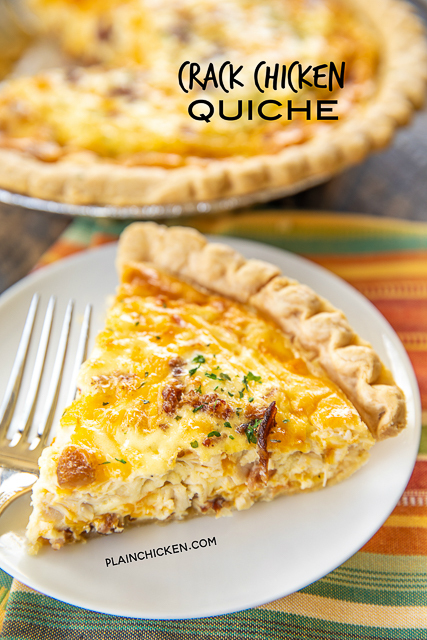 We are HUGE fans of quiche in our house. We eat it for breakfast, lunch and dinner. 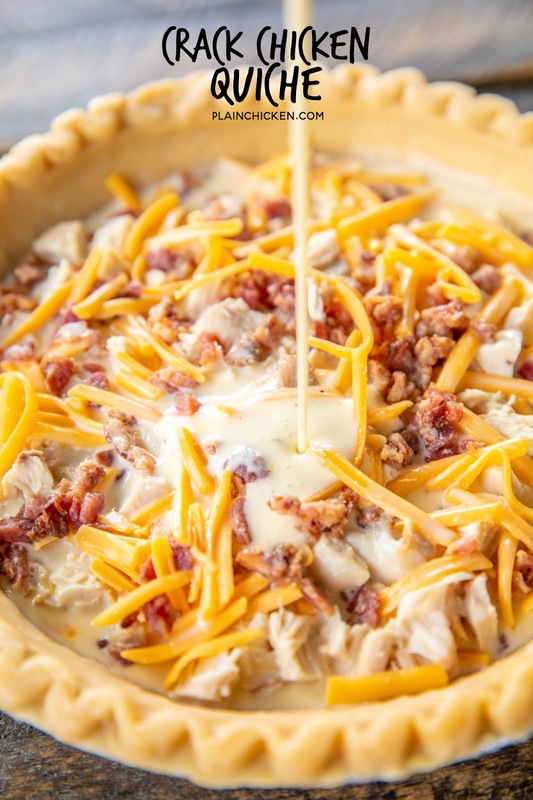 This Crack Chicken Quiche is loaded with chicken, cheddar, bacon and ranch. It is super easy to make and tastes AH-MAZ-ING!!! I made this for lunch last week and we devoured the whole thing in no time flat! 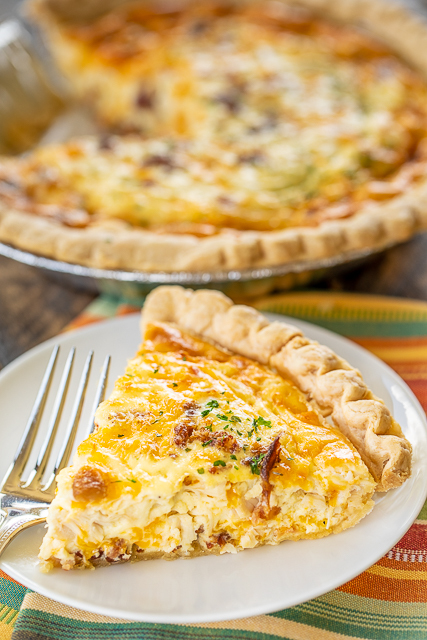 You can make this Crack Chicken Quiche ahead of time and refrigerate it overnight or freeze it unbaked for later. If you freeze it, just let it thaw in the refrigerator before baking. I like to double the recipe and make one now and freeze one for a quick meal later. To make prep a breeze, I use rotisserie chicken and precooked bacon. I get both in bulk at Costco. I can have this quiche ready to bake before the oven has preheated. LOVE super fast meals like this!! 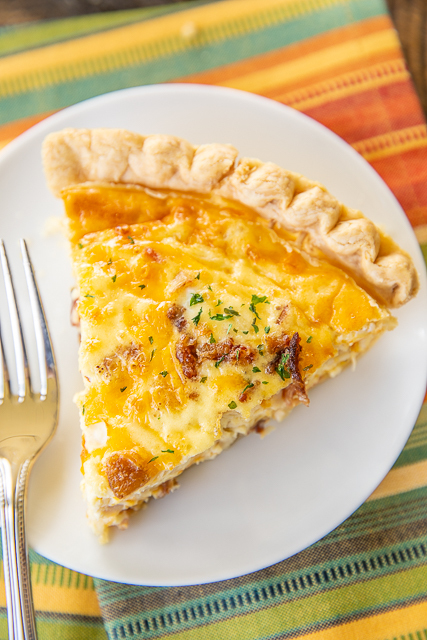 Serve this Crack Chicken Quiche with pasta salad, grape salad, green beans or biscuits. Heck, we just ate the quiche by itself. That way we could go back for seconds! 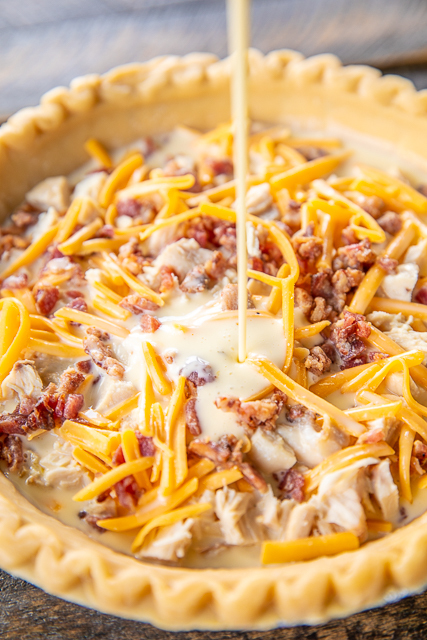 Spread cooked chicken and bacon in bottom of pie crust. Top with shredded cheddar cheese. Whisk together eggs, heavy cream and Ranch dressing. Pour egg mixture over chicken and cheese mixture in pie crust. 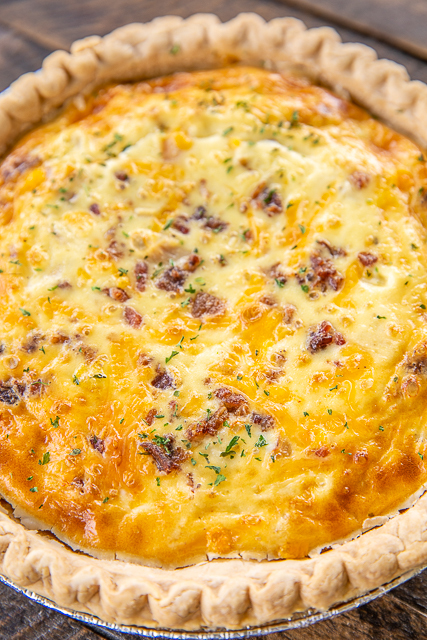 I don't think of quiche as a quick make dinner -- but so smart to use the frozen pie crust and smart to freeze the whole thing for later too! Yum! I substitute broccoli for the bacon when I make it and sometimes add mushrooms, and it is wonderful! Oh, I also add chopped onion, too...delish! How about making this without the crust? My husband is gluten intolerant so I'm looking for new dinner ideas. I'm thinking about substituting leftover turkey in place of the chicken as well. How long to bake w/o crust?? Should I freeze it before or after baking?